Benga Nzau, who calls himself Cheri BENGA, was born in Boma (Bas-Congo) on Oct. 22nd, 1957. He started his career as a painter in 1978. Expositions: 1978 "Art Partout", Academie des Beaux Arts, CIAF, Kinshasa; 2001 "La Cite dans la peinture populaire", Centre Wallonie, Bruxelles; Centre Culturel Ku NTWALA (UPN), Kinshasa; 2003 "Kin Moto na Bruxelles", Hotel de Ville de Bruxelles - Galerie Bortier; 2005 "Regards sur les 15 ans de transition", Hotel Memling Kinshasa; 2007 "Le Congo d'hier, d'aujourd'hui et de demain", Hotel Memling, Kinshasa; 2008 "De Stadsschilders van Kinshasa", Hofke van Chantraine, Belgium. 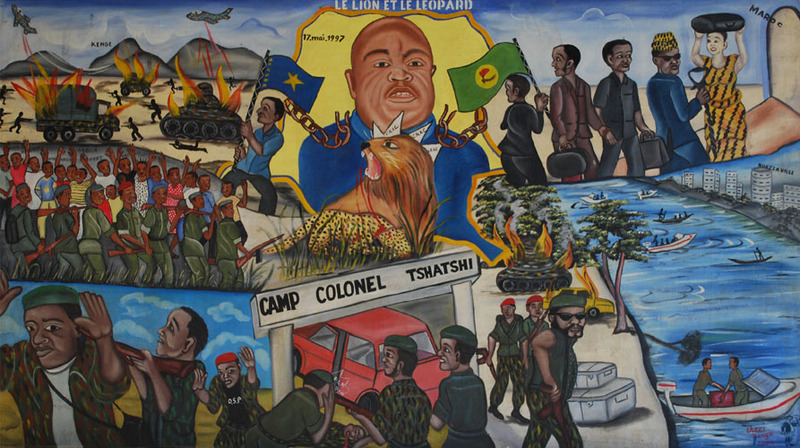 2010 "FUTUR CONGO", De Warande, Turnhout, Belgium; "Independance! ", Musee Royal de l'Afrique Centrale, Tervuren/Brussels, Belgium; "50 Jahre Unabhängigkeit des Kongo in Bildern", Castle of Puchenau, Linz, Austria. "Le Lion et le Leopard". Acrylic colors on canvas, 100 x 180 cm, 2004. 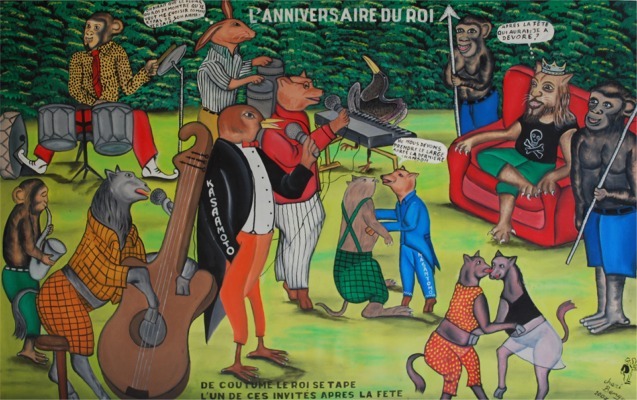 "L'anniversaire du roi"". Acrylic colors on canvas, 94 x 150 cm, 2007. "Grand Prix Cheri Benga"". Acrylic colors on canvas, 46 x 200 cm, 2006. Allegorical representation of the presidential elections. (Part of the "Prof. Armin Prinz Donation").